Continuing along the elevated boardwalk, stunning water features begin to catch the eye and calm the senses, while the cottages float within the canopy of trees. 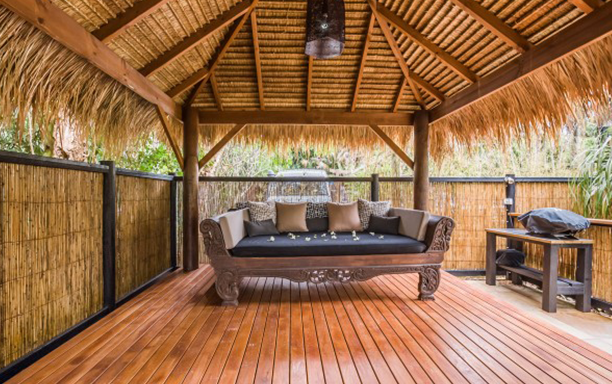 With three cottages and one studio accommodating a total of thirteen people, Shambhala provides a seamless blend of indoor and outdoor living spaces, all leading to absolute beachfront access. Unique to Shambhala is the privacy that each cottage affords. Perfect for honeymoon couples, retreats, or birthday and anniversary celebrations, Shambhala transcends all expectations.